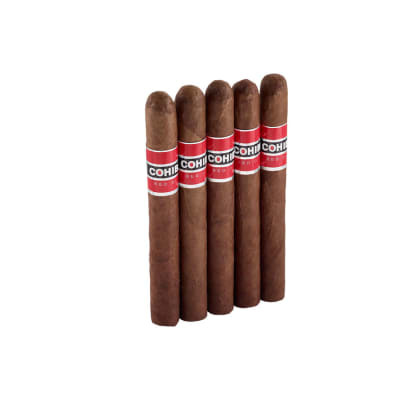 Hemingway Signature cigars are Grand Corona-size perfectos handcrafted with a smooth, medium-bodied blend of vintage Dominican tobaccos donned in silky African Cameroon wrappers. 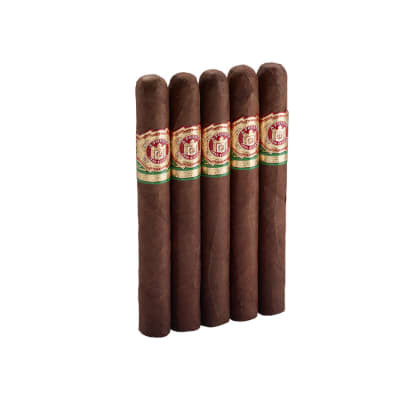 One of the world's leading classic premium cigars, and often hard to find. A must-have for every smoker of fine cigars. 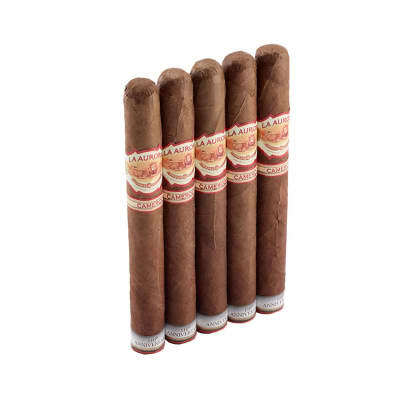 Hemingway Signature cigars are Grand Corona-size perfectos handcrafted with a smooth, sweet-tasting blend of vintage Dominican tobaccos donned in silky African Cameroon wrappers. 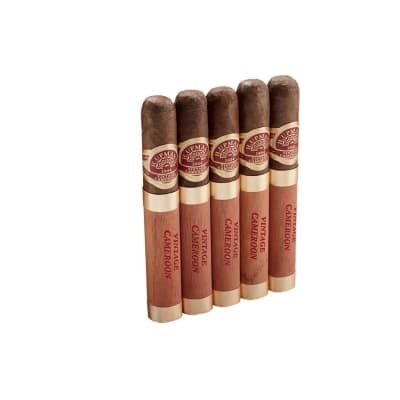 As one of the world's leading classic premium cigars, this 5-pack is a smart way to get some in to your humidor. The Hemingway Signature is a 'delecto perfecto' handcrafted with a sweet, creamy, medium-bodied blend of vintage Dominican tobaccos capped in a delicate and silky African Cameroon wrapper. As one of the world's most sought-after classic premium cigars, it's a must-have for your collection. everyone needs a go-to cigar... in fact I have 5 ! But this hemingway is the one I ll order again when there s room in the humidor and I back off on some pricey experimental buys. If only I could trade in some overpriced mid range smokes I bought for a few of these. Out of 100 of these I smoked I ve had 3 or 5 bad burners, but still smoked them. To me this is the perfect cigar. I love the shape, ring size and length. Great aroma and good smoke output. Flawless construction and draw. Very smooth and consistent flavor just like most AFs. Since I can t smoke a Don Carlos or Magnum R everyday, this is my cigar of choice. Love the cigar. It is a pleasure to smoke. But tough to enjoy if they are out of stock so often. May have to order from someone else.